We have a beautiful studio shop in the heart of Manchester's Northern Quarter, in the inspiring Manchester Craft and Design Centre. The Design Centre is a historic building full of character and bursting with creative energy. There are 18 designer makers under the same roof here, all with amazing products for sale. We moved here in December 2014 and love having a home here. 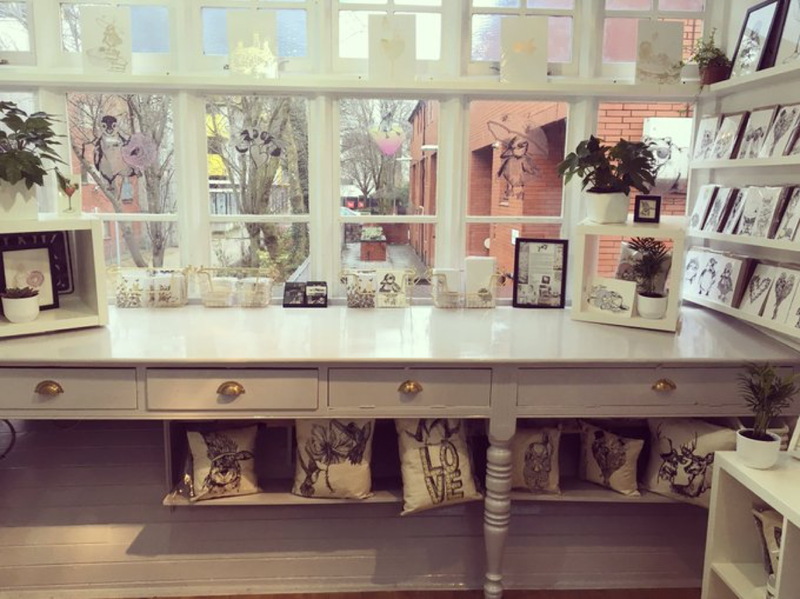 We'd be delighted to see you in the shop....come and visit soon! In the meantime, If there's anything you'd like to enquire about, please just fill in the contact form attached and we'll get back to you asap.